October 18, 2018 / Modified oct 24, 2018 12:23 p.m.
Arizona voters are faced with a number of ballot questions this year. This week we break them down. Your browser does not support the audio element. 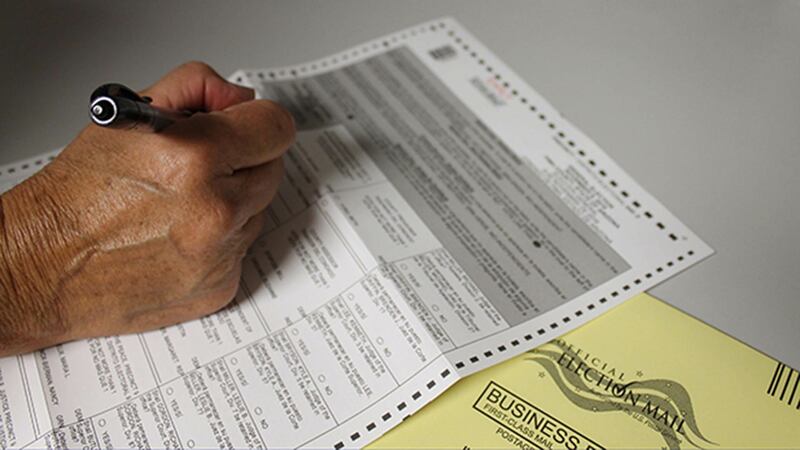 Early ballots went in the mail last week, and Election Day is just over two weeks away. Here, we break down each of the major ballot initiatives so you can be prepared to cast your vote. Across the country, state retirement systems are in danger of failure. Two years ago, Arizona made changes to the retirement system for police and firefighters. Proposition 125 would make changes to the state retirement plans for corrections officers and elected officials as part of a continued effort to stabilize the pension system. A "yes" vote will change annual benefit increases for those employees to a cost-of-living formula tied to inflation instead of the current investment performance model. A "no" vote would keep the plan as is. Proposition 126 prevents the Legislature, or any local government, from imposing a tax on a service-based industry such as haircuts, child care, or real estate transactions. The proposal also prevents an increase of any existing service tax. The idea was placed on the ballot through the citizen's initiative process and the efforts of the Arizona Association of Realtors. A "yes" vote will prohibit the state and local governments from enacting any new or increased tax on services. A "no" vote allows for future taxation. One of the highest-profile ballot issues this year deals with renewable energy. Proposition 127 would amend the state constitution and require energy utilities, including Tucson Electric Power, to get half of their power from renewable sources like wind and solar by the year 2030. Most states have some renewable energy portfolio standard. According to Joshua Rhodes, a research associate at the Energy Institute at the University of Texas at Austin, if Proposition 127 passes, it would put Arizona second nationally in terms of the highest renewable energy portfolio standards. Hawaii's legislature has mandated 100 percent renewable energy by 2045. Last year, the state Legislature passed a bill to expand empowerment scholarship accounts, which are essentially vouchers for private schools. Originally created for Native American students, military families, and students with disabilities, last year's bill signed by the governor expanded the vouchers to be available to any student. Voters collected signatures and forced a referendum on the bill signed by the governor, leading to Proposition 305. Opponents argue expanding the voucher program further diverts needed funding from public schools. Proponents say it gives more choice to other students. A "yes" vote on Prop. 305 will keep the law in place. A "no" vote will repeal it. Proposition 306 would make changes to the Citizens Clean Elections Commission, an independent, nonpartisan oversight board created by voters. The commission provides public funding for qualifying candidates and enforces campaign finance laws. Currently, the commission is independent, meaning it does not answer to the governor or Legislature. Proposition 306, proposed by the state Legislature, would prohibit candidates from transferring public funds to a political party or organization, and would put the commission's rulemaking under the authority of a council appointed by the governor. Proponents argue it will help keep public money out of party politics. Opponents argue it will weaken the authority and independence of the Clean Elections Commission. A "yes" vote would put the Clean Elections Commission's rulemaking under the regulatory oversight of the Governor's council and prohibit candidates from transferring public funds to political parties or politically-driven organizations. A "no" vote would leave the commission's independent authority as is and allow the commission to determine whether publicly-funded candidates can transfer those funds to political parties or organizations. Billed by Pima County as the "Fix Our Roads" plan, voters are being asked to pass a $430 million bond that would be split according to population among the cities and towns in the county. A "yes" vote would approve the bond, keep property taxes the same for for county residents, and allow the county to spend the resulting new revenue on the road repairs, in addition to its regular road budget. Property taxes would remain the same because as the county pays off old debt, it would add new debt for these road repairs. A "no" vote means taxes would go down as the county pays off old debt, and the county would continue to use existing funds for road repair. Learn more. The city of Tucson is asking voters to approve a $225 million bond package aimed primarily at fixing and upgrading most of Tucson's parks. Officials say the proposition works within existing bond capacity and will not raise property taxes. Learn more. A "yes" vote would approve the bond and the resulting property tax increase to fund the parks repairs in addition to its regular parks budget. A "no" vote would not implement the tax, and the city would continue to use existing funds for parks. Proposition 408 would change the Tucson city charter. It would move elections for the mayor and council from odd numbered years to even numbered years. The state Legislature has tried to force Tucson to do this in the past, but the courts have ruled it is up to city voters to make the change. A "yes" vote would approve this change, which would mean the terms of the current Mayor and Council would be extended one year so that elections could be held in 2020 instead of 2019. A "no" vote will leave the election schedule as is, during odd-numbered years. Voters in Southern Arizona will see six propositions on the November ballot in which they can decide to accept or reject bonds and overrides for education funding in their school districts. Learn more.